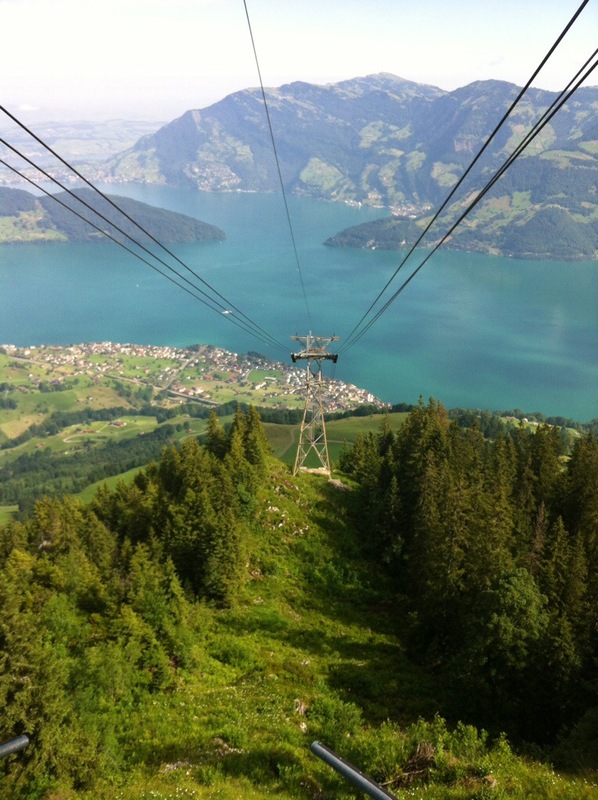 On Wednesday we took the bus from Buochs to Beckenried to catch the Beckenried – Klewenalp gondola which goes up to about 1,600m. 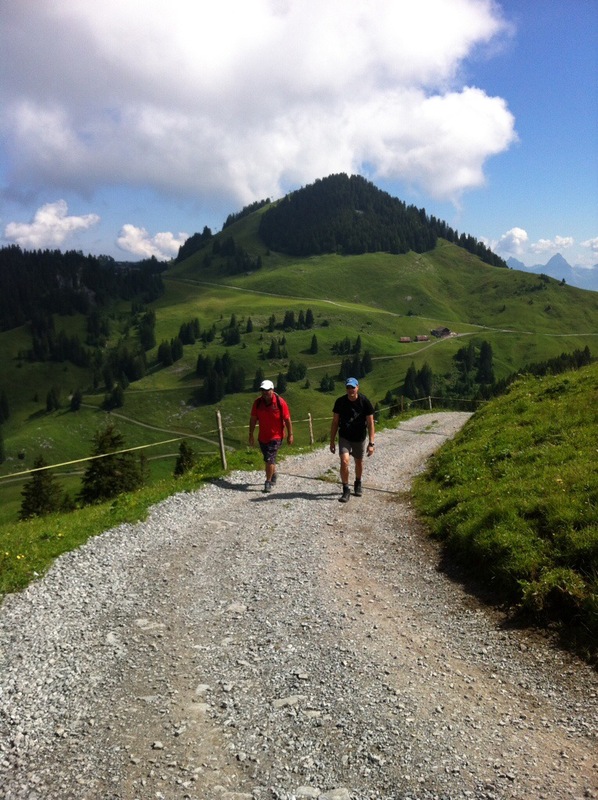 The plan was to hike to Barfalen and then onto Musenalp. 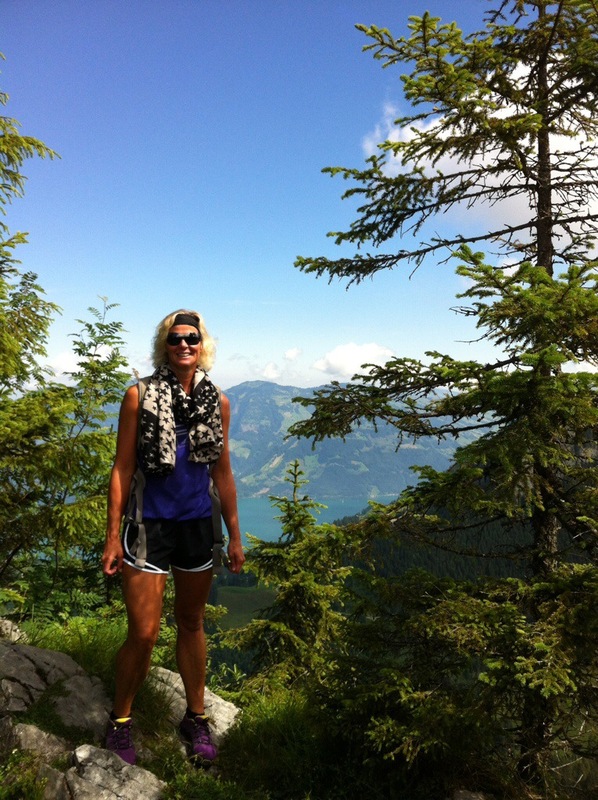 It was a beautiful day and the view down to Lake Lucerne is pretty special. 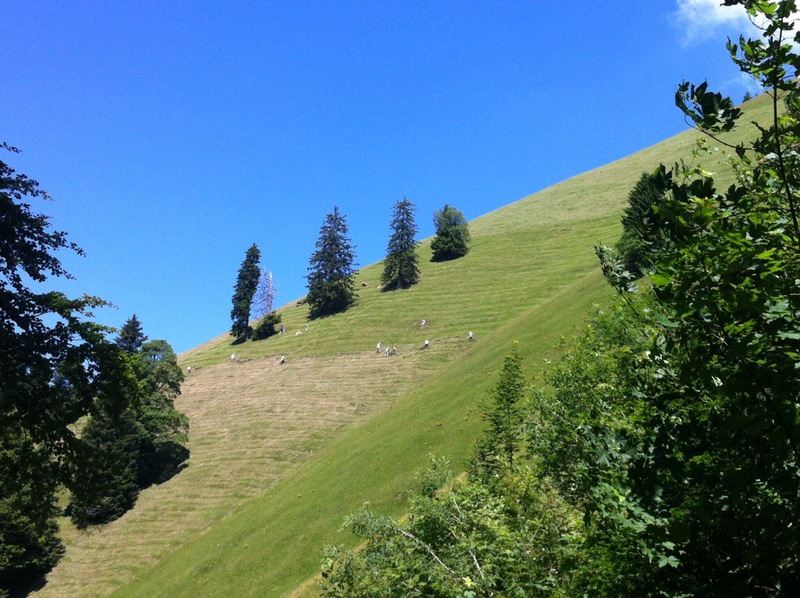 In winter this area is used for skiing so Karin & Elvis were pointing out the chairlifts and tow ropes etc… It was hard to imagine all the green pastures covered in snow. 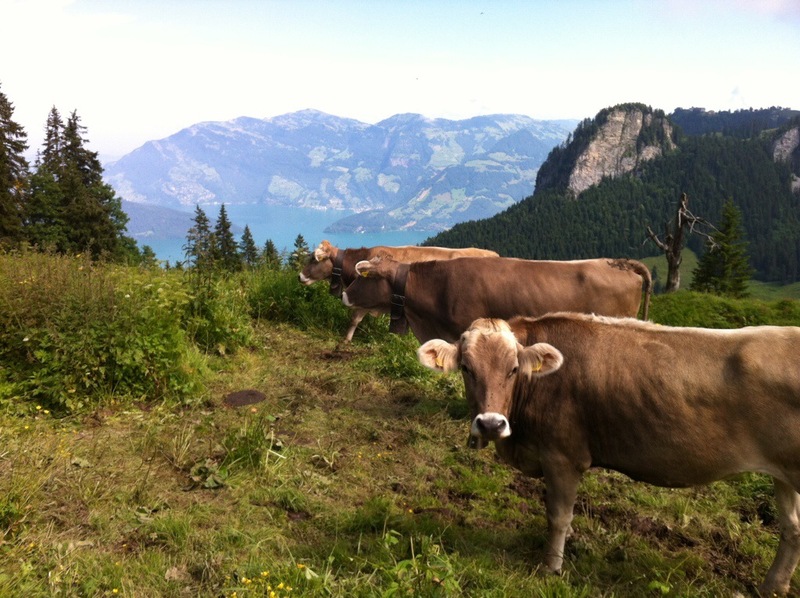 In the summer the cows graze up on the slopes and you can hear cow bells for miles. You actually get used to the constant ringing and it is only if you stop to listen that you notice them. 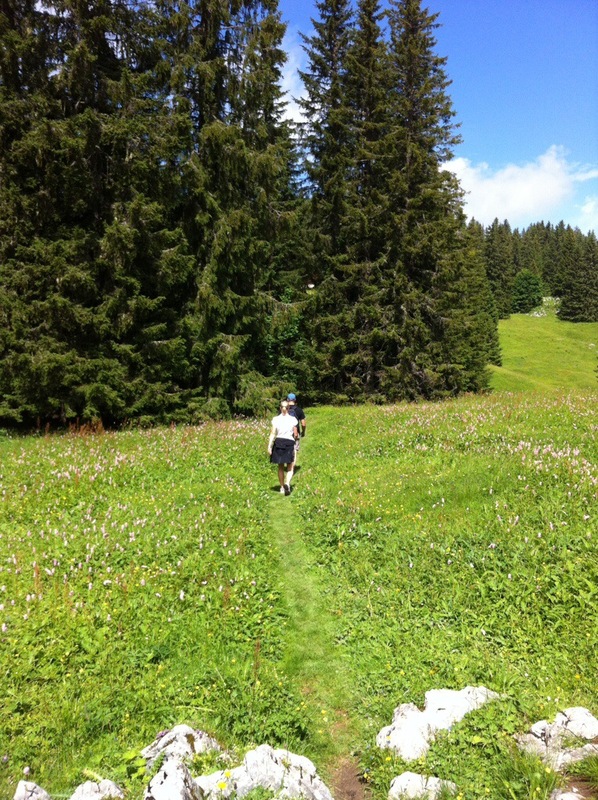 The walk was a bit up and down – we started on a good track and then had to climb up through some trees until we plateaued into flower covered pasture – the wild flowers are really pretty and varied in colour. 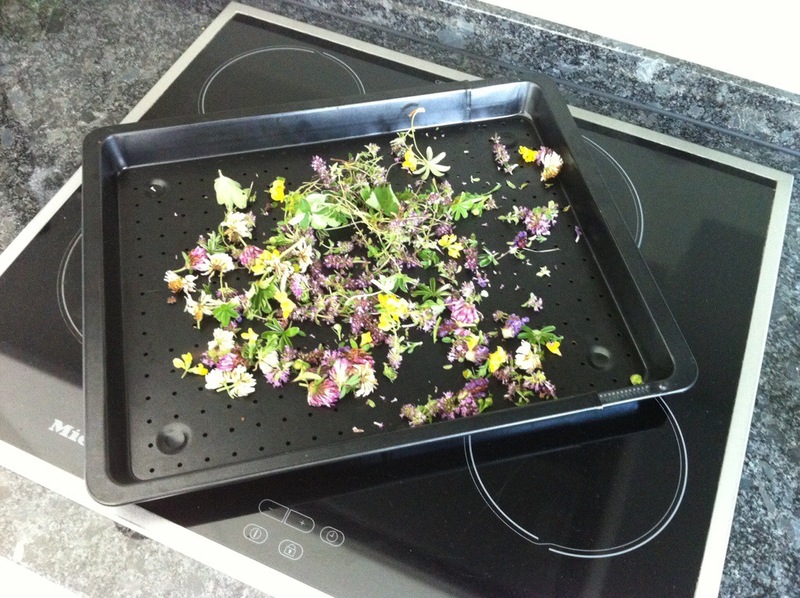 Karin collected some of the flowers so we could dry them for a herbal tea. Barfalen translates to bear pit and Musenalp translates to Mouse Alp. 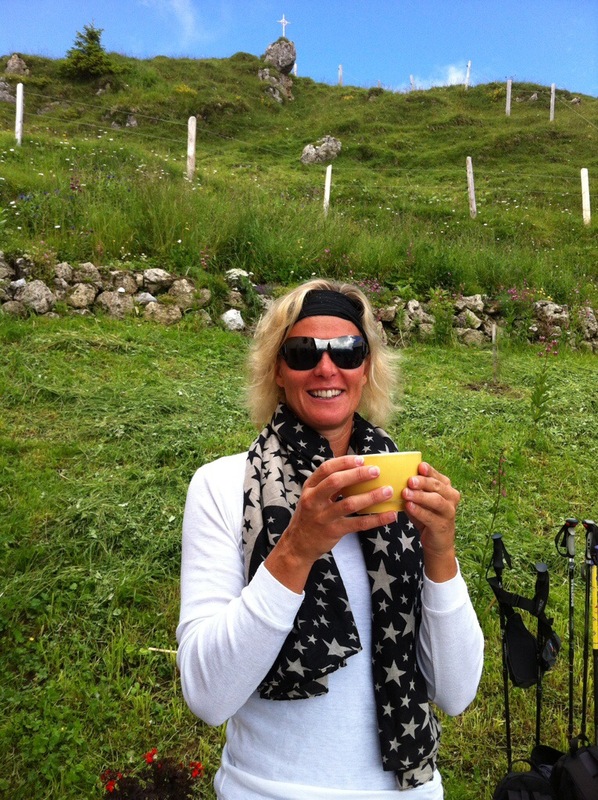 Musenalp is 1,747m high and there is a restaurant up there which was like a nirvana on the horizon for Steve – he felt deserved of a beer! We stopped off and had a drink. 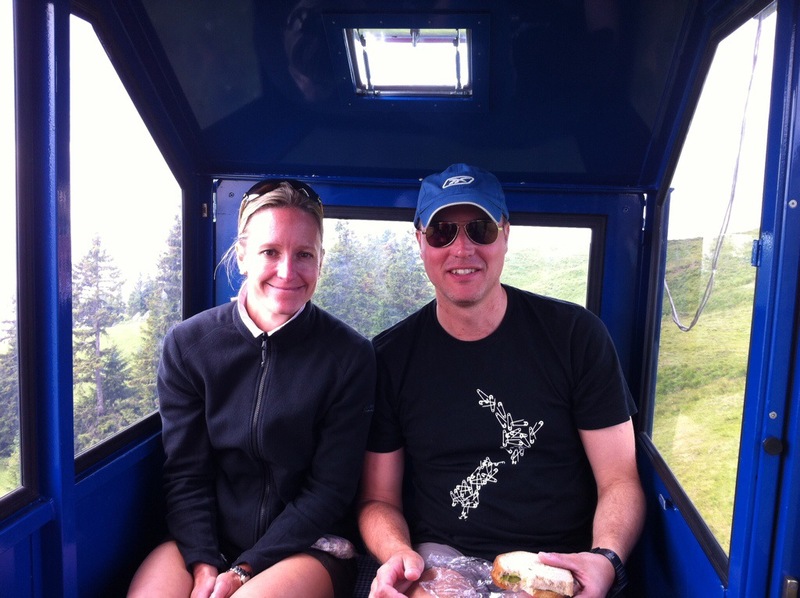 We then caught the gondola down to Niederrickenbach – the gondola could fit four people in it – the ride down was quite steep and the views were fantastic. We decided that we prefer the smaller gondolas to the bigger ones. 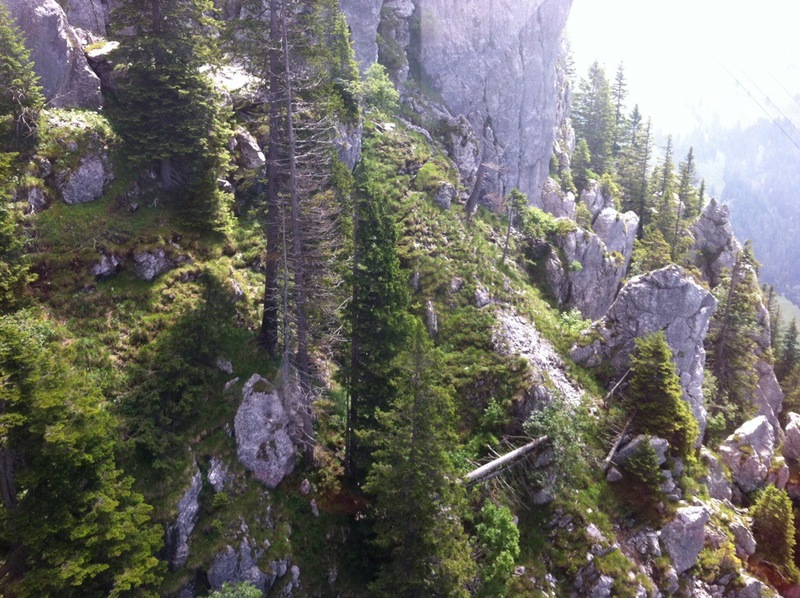 We descended about 700 metres. 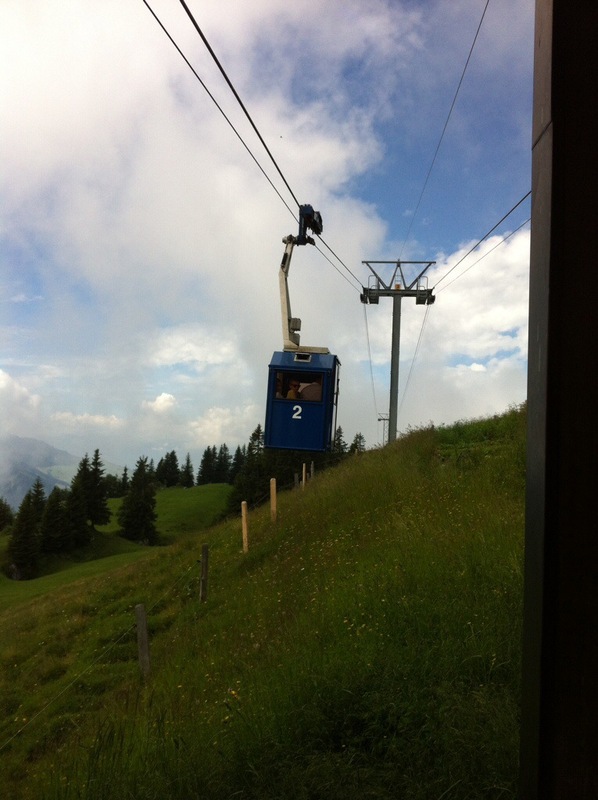 The boys decided to catch the next gondola down to Dallenwil and then train and bus home. Karin & I decided to continue down to Buochs which according to the signs was going to take us about 3 hours and 10 minutes. We started off going down which was a good sign. The next signpost indicated that we needed to go up again so off we went – we saw some people coming down the other way so thought that was another good sign. 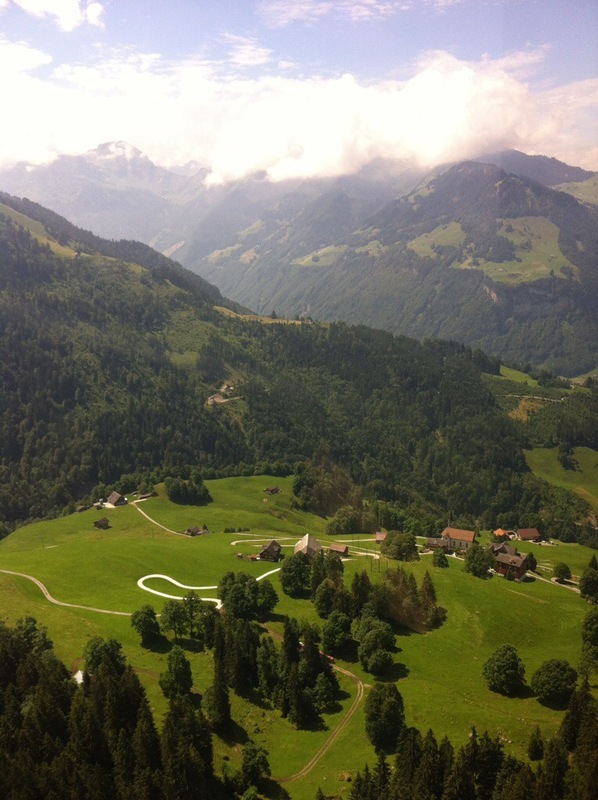 We were then traipsing through a steep paddock – we could see a road just below us so decided to get to that. The farmer drove by so Karin stopped him to confirm we were heading in the right direction – he had a smile on his face as he told us that we still had to keep going up quite a bit further. We’re not sure if we missed a sign somewhere or we were actually on the right track. The signage on the tracks is usually fantastic but seemed to be MIA in this area (unless we missed it of course – which is highly likely as some of my O & E and biking friends can attest to). 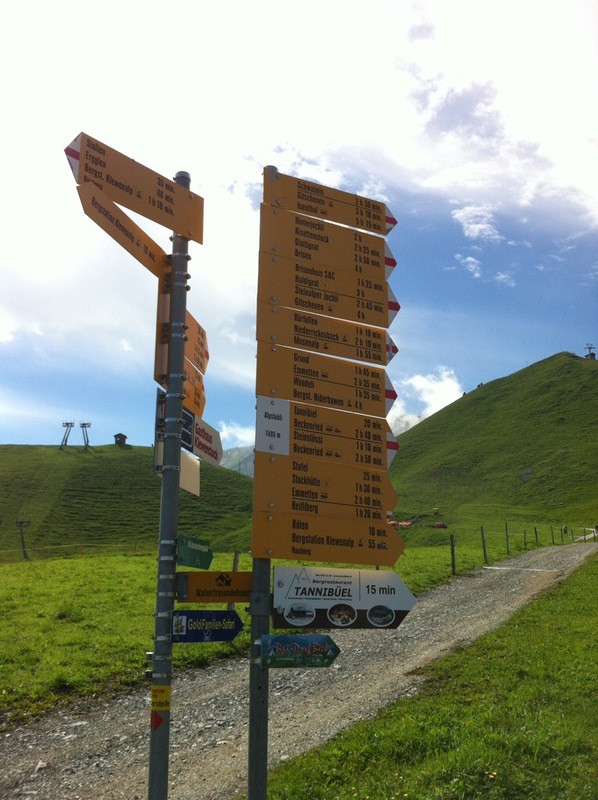 We wound our way further up and then found the sign pointing direction Buochs Post. 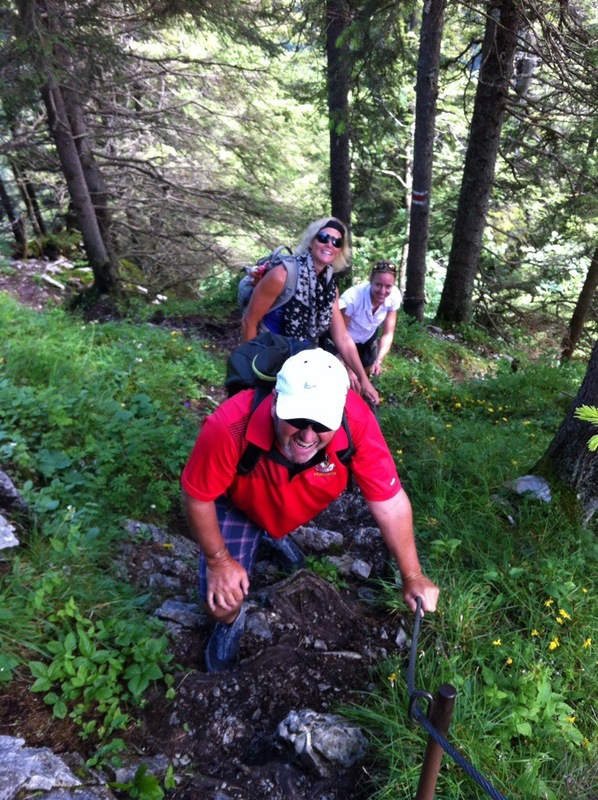 It was quite a steep climb down through the forest. We came across a clearing where they had cut the grass to make hay. 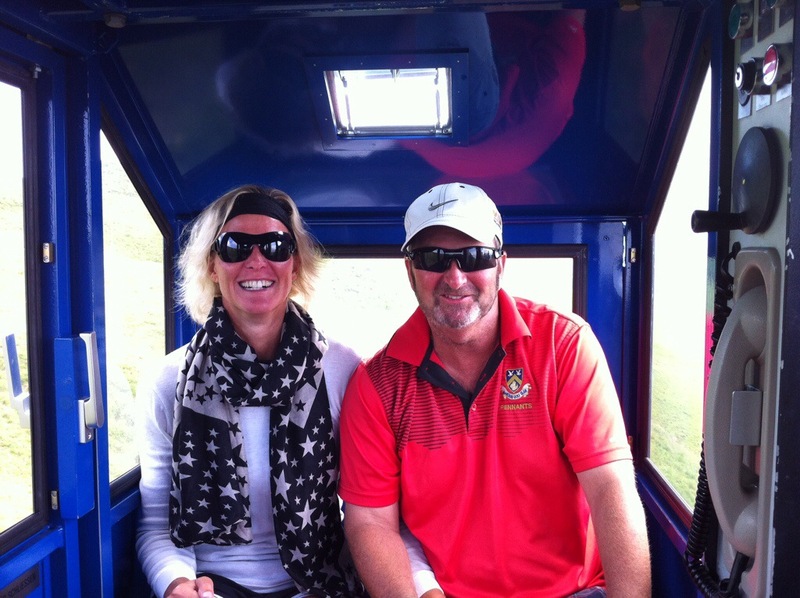 The process fascinated me given I have had experience with haymaking in NZ. Because the pastures are so steep they use this mower that looks a bit like a wide rotary hoe – it has these massive steel spikes on the wheels so that it can hold on without flipping over and rolling down the hill. The farmer walks behind and steers it. Once the grass has dried they hand rake it into these big nets. The nets then get gathered up and hooked onto a line that is going down the hill into a barn or to a central spot where it can then be put into the barn. The barn can be quite some distance away. 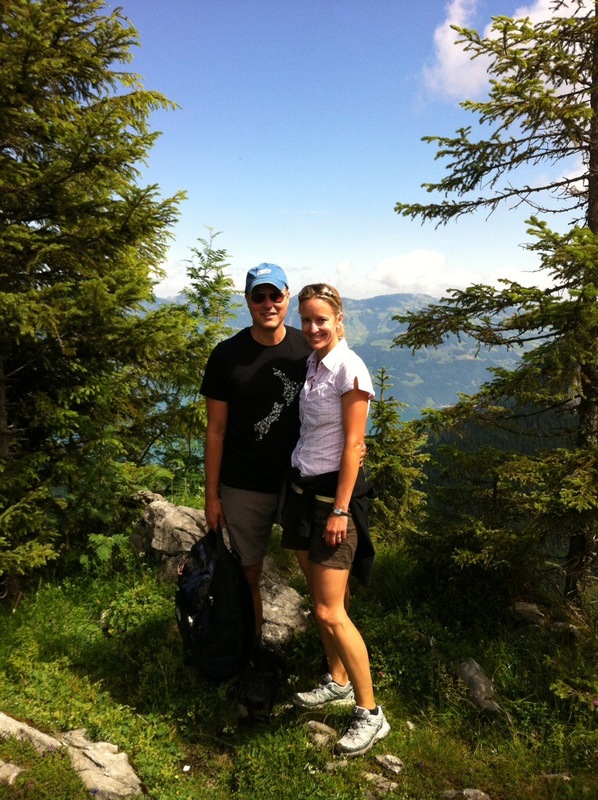 After a bit more climbing down through the forest we made it back to Buochs – it took us about 3 hours so we were pleased. The boys had only made it home a short while before us. 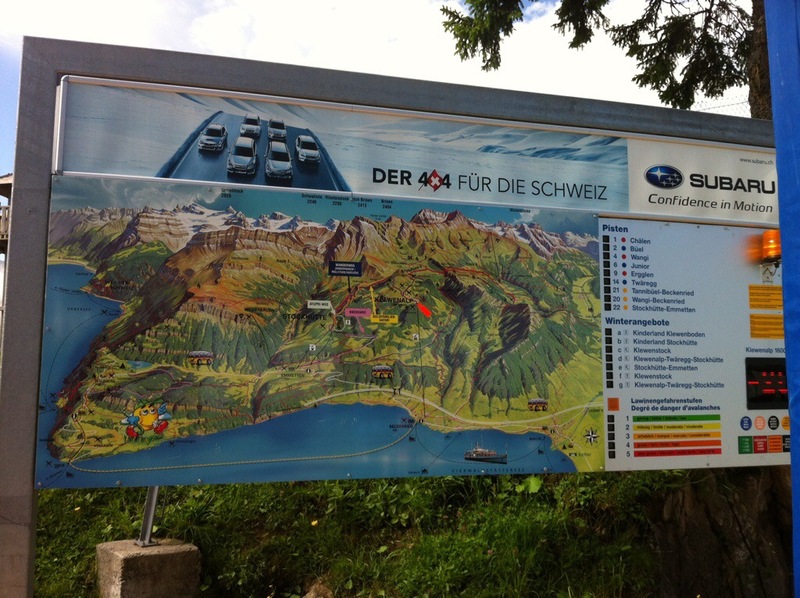 After getting off the gondola in Dallenwil they just missed the train to Stans so Elvis suggested they walk – it will only take 45 minutes he says. Steve probably agreed reluctantly and off they went. 1 hour 15 later they reached Elvis’s parents place which is still another 20 minutes to home. They called in and Steve was handed a welcome cold beer by Elvis’s Mum Ana so all was well with the world again : ) Ana then drove them home! 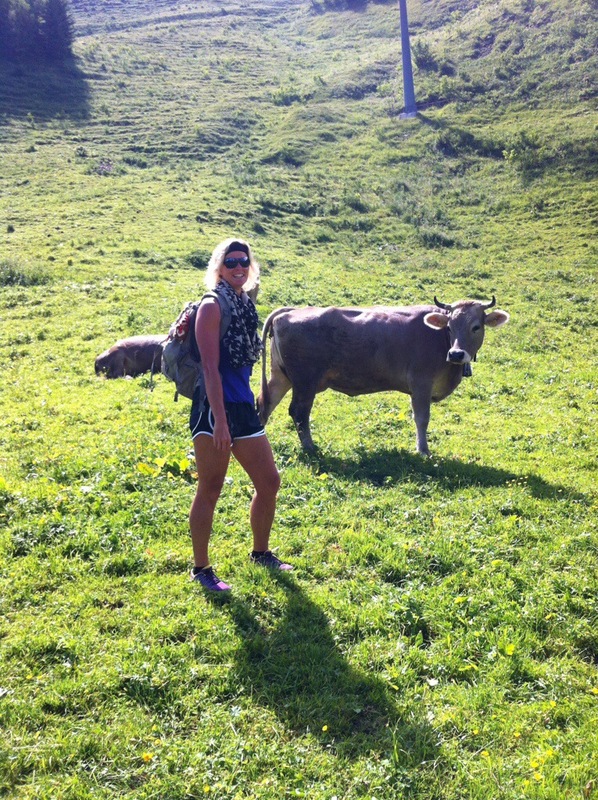 This entry was posted in Switzerland. Bookmark the permalink.